We always dreamt of returning to Boracay eversince my family went there 7 years ago. Plane fares were expensive then and we were a lot more adventurous that we decided to try the nautical super highway or via bus and ro-ro ships passing thru Mindoro. The opportunity came when I booked last year for our flight to Boracay this April 10-13, 2011. The fare costs less than P2,000 for a round trip ticket per person. We flew to Boracay via Caticlan using the turbo prop plane and returned to Manila via Kalibo, which is about 2 hours away from Boracay. That gave us some time to plan our trip. Searching through the internet, we booked a two night stay at the Orchids Resort for P792 per night. Their ad says that the place is a 1 minute walk to the beach but when we got there, with the turns along an alleyway, it seems like you won't make it in 1 minute even if you run, he he he. Anyway, all we needed was a place to stay for the night. The room we had was on the 2nd floor and had 2 single beds and a bathroom with hot shower. For first-timers to Boracay, the owner, Lynn (Mr.), they will offer to have you picked up at the Caticlan aiport or jettyport (if you're coming from Kalibo). 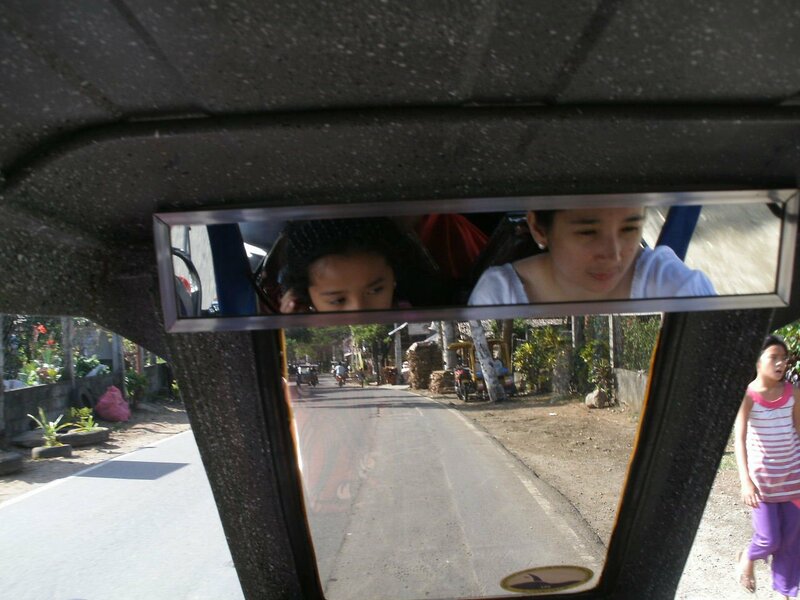 You just pay for your tricycle (P50 and P100) and boat fares (P30), environmental fee (P75(, terminal fee (P30), etc. The guide will pay for his own expenses. Since Orchids Resort is hidden inside the alleyways, it is best to have someone from the place to guide you in getting there. After checking in, we immediately changed to our swimming outfits and headed out to the beach to watch the sunset and had a quick dip in the sea. We originally planned to stay in Boracay for only two nights and one night in Kalibo. However, my wife and daughter didn't want to leave the place yet so we extended by another night. We only booked for two nights at the Orchid's Resort and the place was fully booked that we had to find another place for one night. We found a place which is near the beach and the alley leading to where the tricycles going to the port are. It has two double beds, airconditioning and cable tv. It cost us P1,500 for one night. I had actually budgeted P2,000 for our overnight stay in Kalibo, so we agreed to stay at the Morning Star. The beach is less than a minute from our room and beside two dive shops. ﻿We just wanted to lie along the beach to read a book, build sand castles or just swim. But my wife somehow found ways of spending money or should I say do some fun activities, he he he. She met someone offering paraw sailing so on our second day, that's just what we did. For an hour, we sailed into the sunset and getting wet along the way. Angel was so excited because of the strong winds and waves. The beach in Boracay is still not as crowded as we had expected, so we had a lot of space all to ourselves. Just spreading a cloth on a shaded part of the beach and have some rest made our day. We also did the helmet diving. We were offered P1,600 for the three of us to do the reef walking acitivity. My wife had wanted to do that ever since we went to the Great Barrier Reef in Australia but she was so sea sick to do it then. So we accepted the deal and off we went and took the speedboat to the site where we will do our diving. Alas, all good things must come to an end. Our four days in the sun ended too soon. 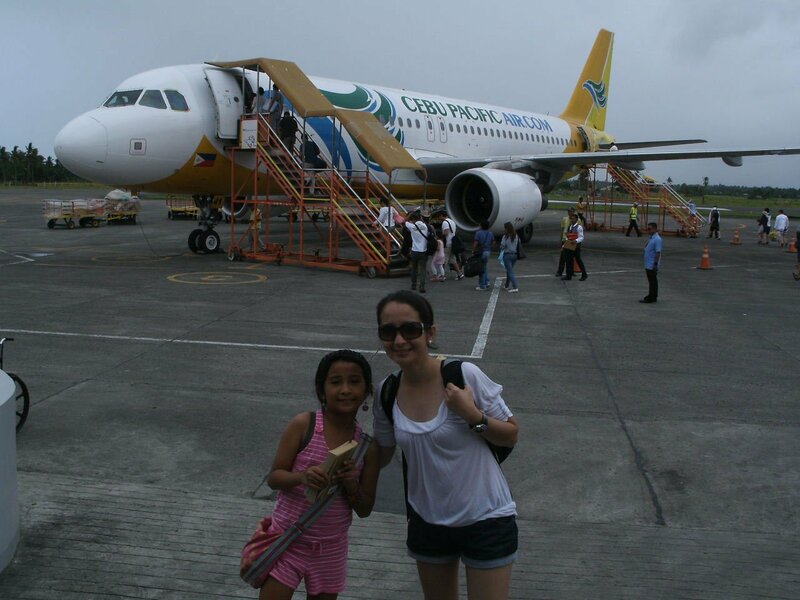 Returning to Manila on the 13th of April, we woke up early to go to Kalibo, where we took the plane going back home. Interesting blog here. Will be back for sure! thank you beng. 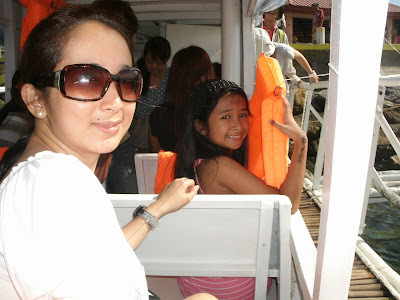 boracay is not the same as it used to be, though it is still a good place for a vacation.